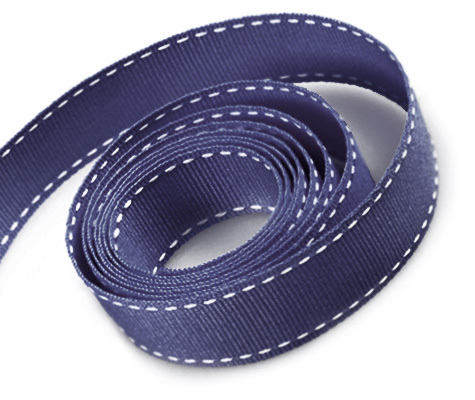 Capri Blue and White Saddle Stitch 9mm Grosgrain ribbon , 3 metres by 9mm. Honeydew and Willow Saddle Stitch 9mm Grosgrain ribbon , 3 metres by 9mm. Saddle Stitch 9mm ribbon can be used for craft, card making, sewing, scrapbooking, weddings and home decorating. This ribbon is made out of 100% Polyester to make a high quality ribbon. Sugar Pink and Hot Pink Saddle Stitch 9mm Grosgrain ribbon , 3 metres by 9mm. Saddle Stitch 9mm ribbon can be used for craft, card making, sewing, scrapbooking, weddings and home decorating. This ribbon is made out of 100% Polyester to make a high quality ribbon. Yellow and White Saddle Stitch Grosgrain Ribbon , 3 metres by 9mm or stab stitch grosgrain. Saddle Stitch Grosgrain Ribbon can be used for craft, card making, sewing, scrapbooking, weddings and home decorating. This ribbon is made out of 100% Polyester to make a high quality ribbon.